Here's a project from our archive that we wanted to share, a bright floral design perfect for Spring. 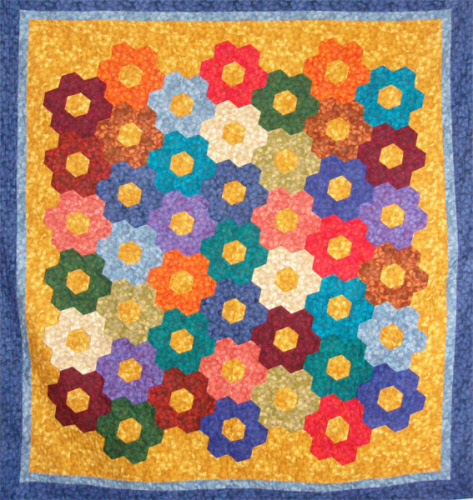 This is a delightful hexagon pattern of giant garden flowers by JoAnne Louis of Paper Pieces! This project is great using charm squares; just make hexagons out of your charms or scraps. JoAnne used flannel in the example for added softness. This one looks like fun, give it a try!